If you enjoy having a drink in a chill atmosphere with live performances by quality local talent, (Marlon) look for the Library Restaurant and head down to the Study Lounge. Below the Library Restaurant is The Study Lounge. It’s Midland’s new option for a night out and new CTS sponsor. Tuesdays after our ride they will have half priced wings and cold beer waiting for us. It's time to hit the books and study all night long. 526 Hugel Avenue, Midland, Ontario. Thank you to the Study for their support of the CTS Bike to work day aka Dock-to-Dock. The inherent dangers of mountain biking can be greatly reduced with proper riding techniques and safety equipment. This February I'm taking a First Aid, CPR & Safety Training Course at First for safety in Midland. My hope is that if injury does occur when we are out on the trail, proper treatment and recovery time will get you back where you belong. We all like to push the limits sometimes, but there is a fine line between pushing the limits and riding safely. Follow these 7 steps to stay safe on the trails and above the dirt. 1. Plan on the Crash: Always wear a helmet and any other appropriate safety equipment for the riding conditions. 2. Never Ride Beyond Your Abilities: There is no shame in walking sections of the trail you don't feel confident enough to ride, and don't let anybody tell you otherwise. 3. Appropriate Equipment: Some bikes are better for different situations. Just because you can see tire tracks, doesn't mean you can ride it with your bike. 4. Know The Trail: Never push the limits on a trail you are not familiar with. You need to get to know the trail you are riding at slower speeds before you can ride it like the trails you're used to. 5. Stop and Look: Stop and look at sections of the trail that look like they may pose a challenge before you ride them. 6. Start Small, Go Big: Work your way up to obstacles and stunts. Find ways to practice moves in less difficult and dangerous situations or at lower speeds before committing yourself to something more dangerous. 7. Play It Smart: If you think what you are doing something dangerous, you're right. Think about what you are doing, trust your instincts. This past weekend I watched Life Cycles for the first time. Simply put, this film is the best MTB movie to date. I LOVED IT! 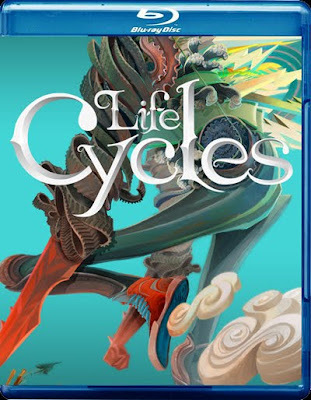 If you ride, you should own a copy of Life Cycles. I could watch it over and over, just absolutely incredible cinematography, angles, editing and music. 8 things to to this year. Have a go at something different? Here's a list of 8 things to do this year to help you see riding in a whole new light. 1. Bike swap: Find a willing partner among our CTS buddies to swap bikes with. Riding someone else's bike is a great way of making you appreciate your own bike or to find out you need a new one. Choose someone with a similar sized frame. 2. Explore new trails: Try riding some place you have only heard about. You might be amazed at what stuff lies out there in Ontario. 3. Seek help: For the price of a pair of tires you can book yourself on a skills day and get a genuine, significant improvement to your riding. 4. Buckwallow: We all have to go to Buckwallow at least once a year. I missed going in June of 2010 and I'm still not over it. 5. Get involved: Give back to the mountain biking world. Come out for Midland Bike to work day, May 20th 2011 and make sure mountain bikers have a voice in our community. 6. Do an overnighter: We keep saying we are going to do this but we still have yet to do it. This year we plot a massive ride that will take more than one day to ride, with overnight accommodation. We can carry lightweight camping stuff. 7. Enter a new race: Whether it's the excitement and nerves or the mental and physical challenge, you should find a competition that will test you in ways you haven't experienced before. 8. Introduce someone to mountain biking: Most of us have a friend who used to ride but hasn't been on a bike for years. Get them out to a CTS ride and remind them what they've been missing. Be Heard: Take The Parks Canada MTB Survey. In recent years, Parks Canada has noticed more and more bicyclists enjoying its national parks. To help understand this growing trend, Parks Canada has created a survey on cycling. The survey will help determine how to improve the cycling experience in the future. Take the survey before January 24 for a chance to win one of three prize packs, consisting of a hydration pack and an annual Parks Canada pass. Where Will Your Mountain Bike Take You? Mountain biking is all about the adventure and experiencing new things. Thus, this year and every year I want my bike to take me to places I have never seen before. There are so many trail to explore, even in our own backyard. Tell me where you've been and why you'd recommend it for the CTS bike club! Hey guys, its time for me to sell my frame and switch it up to something with more travel to suit my riding style. I figured it would be good to offer it to someone in the club wanting to upgrade there bike/frame. It dosent need much to be a complete bike or just take the frame. I will also help build this bike for the buyer. Frame has lifetime warranty from Trek and I am original owner so if someone in the group buys it and has any problems i could claim it for you. Frame is in very good shape mechanically and has typical cuts and scraps from 3 seasons of riding. Rear triangle was just replaced under warranty this summer of 2010. What you see is what you get. Reason for selling is i would like to step up to a 6" all mounting bike like a santa cruz nomad or something. 1. Spend more time on the trail with my CTS family. Enjoying life more is a common resolution and spending more time on my bike with great friends will always bring me joy. 2. Get more fit. No matter how fast I get on the trails, I still want to get faster. So, if I can shave a few pounds maybe I can translate that into some speed on the trails. 3. Learn something new. I want to take my bike skills to the next level. This year I want to learn how to manual my bike. The manual will truly let me master the balance of my bike. 4. Help others. 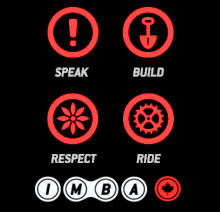 I want to encourage more riders to come out and enjoy what Ontario has to offer mountain bikers as well as help all CTS members increase their skills as riders. 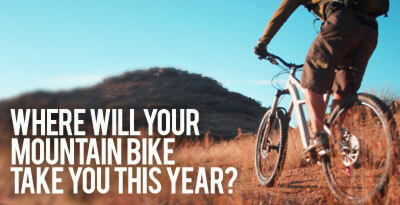 What are your MTB resolutions?